I considered myself fortunate that my work meeting in downtown Syracuse kept me until sunset. 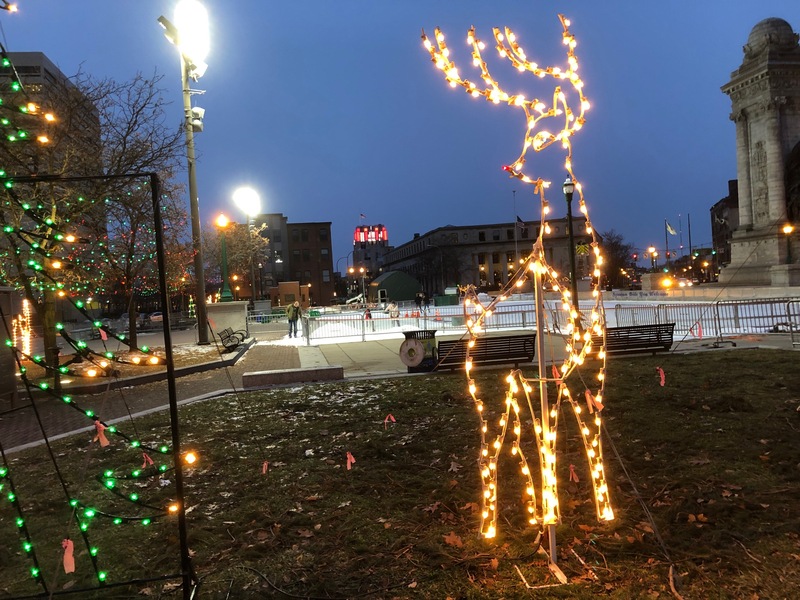 That meant that my carefully planned parking near Clinton Square allowed me to take photos of the festive holiday scene with my iPhone 8 after nightfall. Taking in this location has become a tradition. I may no longer visit every day, but it still holds my affection. 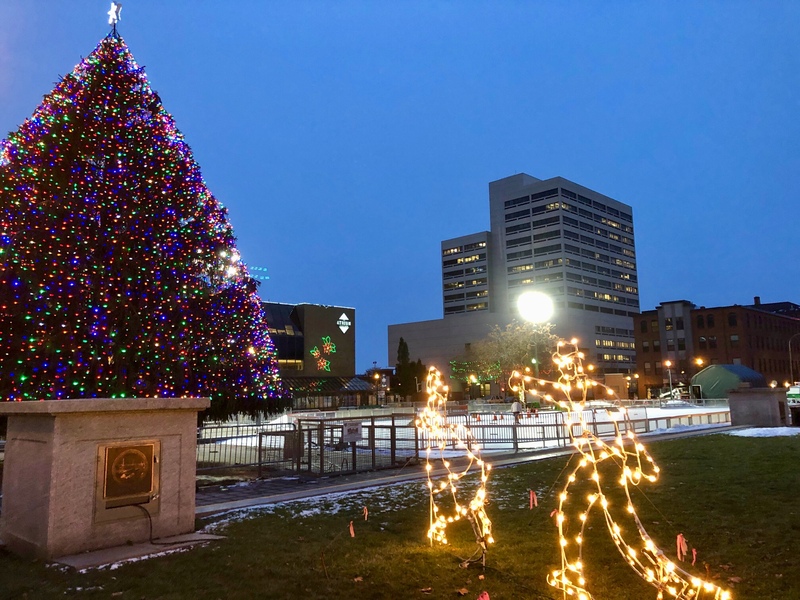 I think this is one of the best-looking trees the city of Syracuse has ever had donated for the spot. The statues hold strong every year. May many enjoy the ambiance. It’s a great one to spread cheer this year, Beth! 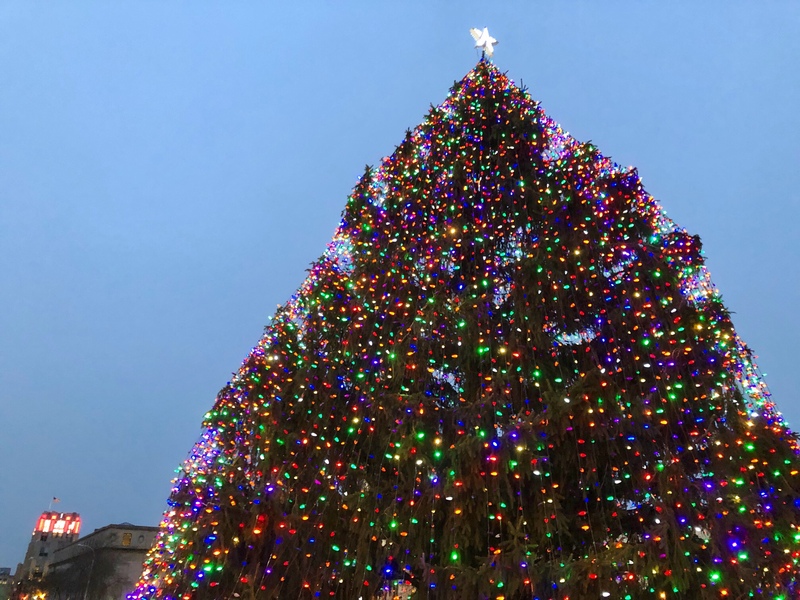 Yes, MBC, this year’s tree really gets me! The Christmas Glow is everywhere! 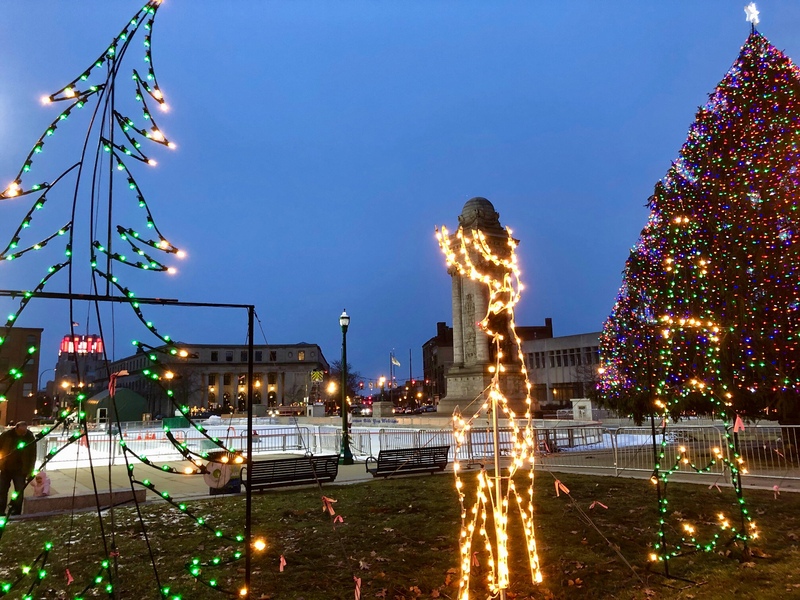 I really do appreciate this downtown Syracuse square at this time of year for sure, Nance! when I was working at SU I used to go in REALLY early to work out (the 5:58 a.m. bus out of L’pool). 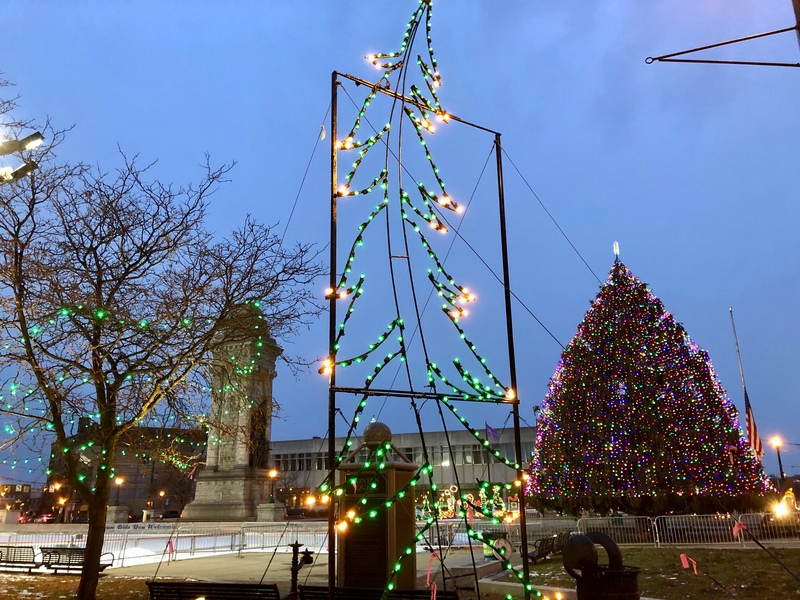 Those lights in Clinton Square were always very special first thing in the morning, and I was always sad when they were turned off for the season. 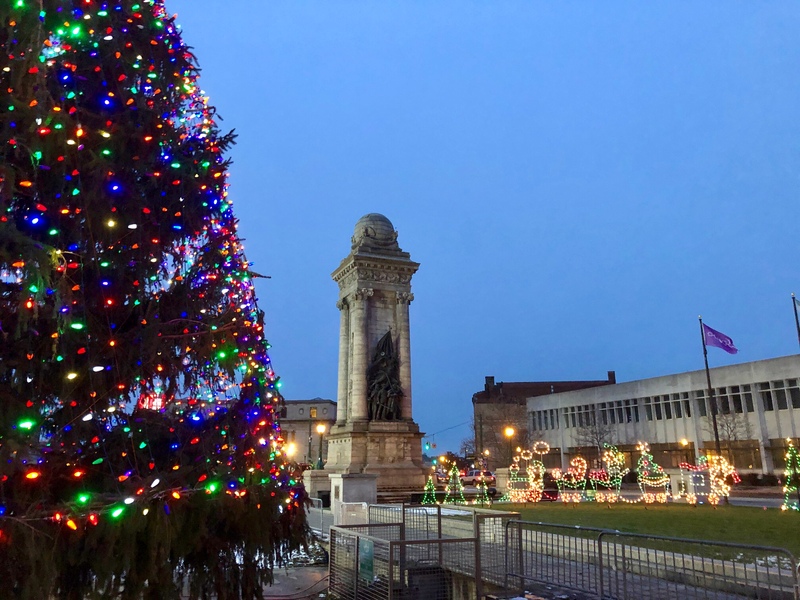 When I worked at the big daily, the Clinton Square holiday season always perked me up, Lynn. I was grateful to have it right next door. That spot on your daily bus ride must have been a mood lifter for sure!